Didymos are often referred to as the "Rolls Royce" of baby carriers. Superb quality carriers,Didymos slings are made from pure organic cotton and the colours are free fom heavy metals. This week's sling is a beautiful brown corduroy Connecta with hood with sherpa fleece lining. 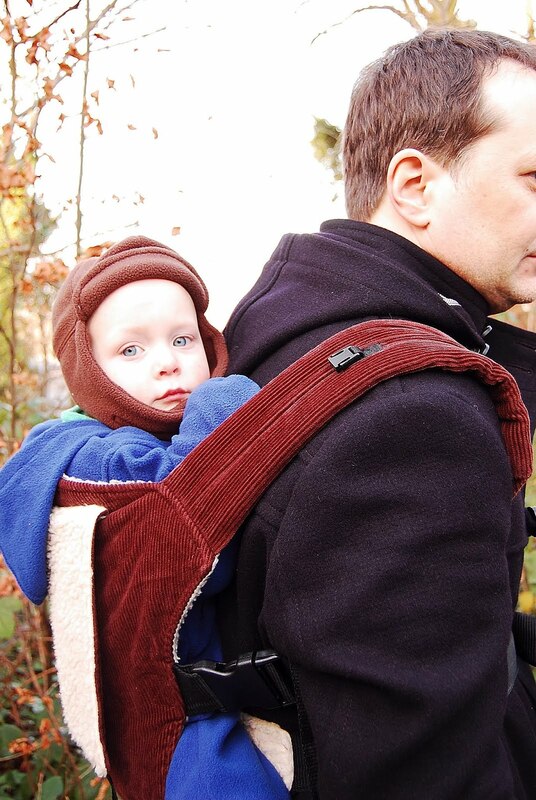 Perfect for this freezing weather, the sling is lightweight yet very, very cosy. It fastens with buckles, so is easy and quick to put on. The Connecta has well-padded straps, but no bulky, rigid waistband, allowing it to provide improved lumber support and correct fitting. It also has a handy fleece-lined sleeping hood, to support your child's head when they fall asleep in the sling. The Connecta can be worn on the front or the back, and is suitable from birth to toddler. It is available to borrow from the sling library now. Happy winter babywearing!